Join Josh and Steve as they break down this record breaking blockbuster! Spoilers ahead! Join Josh, David, and Billy as they talk Deadpool 2, Game Night, MoviePass, Infintiy War, Toys R Us, Krypton, and much more! 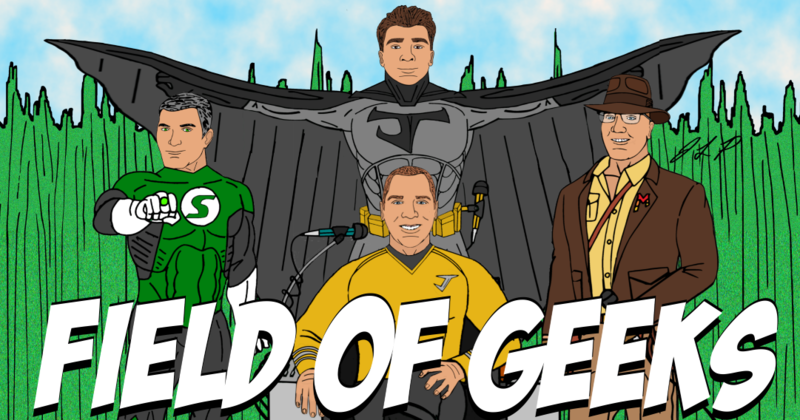 This is Episode 93 of the Field of Geeks podcast. We hope you enjoy. Episode 89 – LOBO BY BAY? WITH NEW TRAILERS! Join Steve, Joey, Mitch, and Josh as they cover: Avengers, Solo, Jurassic World 2, MI:6, Deadpool 2, Venom, Ant-Man 2, Moviepass, Lobo, and much more!